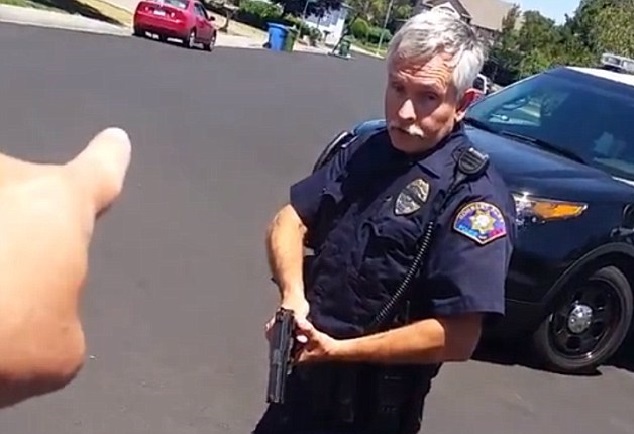 California Police Officer pulls a gun on a man in his driveway because he was filming the officer. The policeman pursues the man through his yard with his gun held in a two-handed ready-to-shoot position. The police in America are out of control. I hope this officer was drug tested and given a breathalizer. 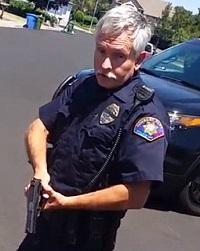 The video, posted on YouTube, shows a Rohnert Park Public Safety officer driving toward Don McComas as he’s filming. As Don McComas moves in closer to record the license plate number on the officer’s police SUV, the officer stops, gets out and tells Don McComas to take his hand out of his pocket. The video shows Don McComas backing away as the officer motions the gun toward him. McComas repeats he did nothing wrong and tells the officer not to touch him. 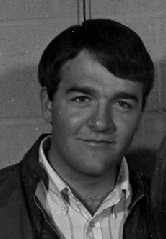 McComas was not detained or arrested. Mayor Amy Ahanotu and City Manager Darrin Jenkins of Rohnert Park say they’re conducting an internal review to determine if proper protocols were followed. How much of a review could they possibly need? Clearly this officer is out of line. McComas said he was in front of his home and hooking his boat to a trailer when he saw the Rohnert Park Public Safety officer drive into his neighborhood. The officer, he said, made a few turns before stopping to face McComas. The officer did nothing but point at McComas and his home, McComas said. McComas became concerned, so he pulled out his camera and started filming. "Prior to pulling out my camera and hitting record this cop pulled slowly into my court then just stopped infront of my house for a good 30 seconds while I was trying to hook my boat up to my Excursion. I stood up and just watched him. He ever so slowly pulled away, circled the court opposite my house and then just parked facing my house. After an honest couple of minutes I pulled out my camera and pressed record. As minor as some would say it was, when I saw his gun gripped in his hand I really thought he was going to shoot me and claim my hand was in my pocket." Does this policeman's eyes look strange to you? I wonder if he was on something. One thing is for sure; the policemen in the United States are out of control. "How about having a gun pulled on you today. Love the RP Police. NOTE, I am not anti police however the lies and distrust I’ve encountered from the Rohnert Park & Petaluma Police over the last 15 months is something I wouldn’t ever believe if I heard it from someone else. This is just a time I was smart enough to hit record as I was approached at my home. Meridian Idaho Policemen pulled guns behind Bill Windsor's back when they responded to a call from a Federal Express employee who said she recognized him from a wanted poster. Wanted for tweeting. The employees at the AT&T Store where this happened had eyes the size of saucers as they saw a Swat-like group descend on the store.